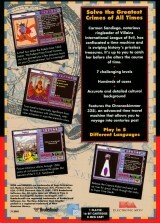 Guardiana, the Utimate SEGA Retro Database ! 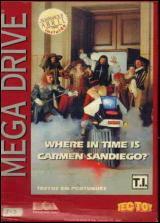 :: Game Informations :: Mega Drive :: Where in Time is Carmen Sandiego? 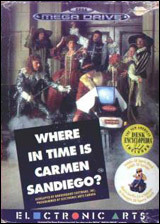 Where in Time is Carmen Sandiego? Contribute! 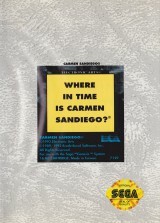 Avec la mention "Desk Encyclopedia Required"
Where in Time is Carmen Sandiego? (With Desk Encyclopedia)	Contribute! 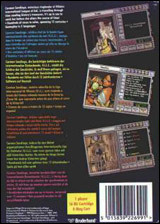 Vendu avec "The New American Desk Encyclopedia" dans un étui cartonné. 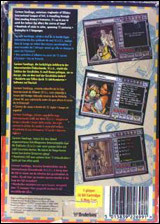 Packaged with "The New American Desk Encyclopedia" in a cardboard sleeve. 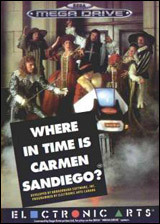 Where in Time is Carmen Sandiego? 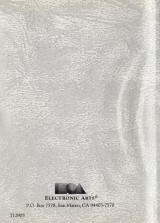 (alternative cover)	Contribute! 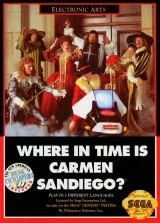 Where in Time is Carmen Sandiego? (Rental version)	Contribute!